Growing your franchise business requires hard work and dedication. Franchise owners lead their team and guide them to success through their efforts. However, keeping up with current automotive industry trends helps manage the company effectively. By utilizing successful methods other franchisees have incorporated in their daily activities, it could benefit you as well. Marketing is one of the most important aspects of a business. Due to increasing technology, digital marketing impacts whether a company performs well or not. Understanding the best way to advertise and share your brand online helps a franchisee grow their company. Having a strong presence on social media, Google, and other platforms market your services to the average consumer today. Being active in these types of online media outlets promotes the business. In addition, this method is more cost-effective than traditional marketing. Automotive industry trends continue to keep up with the times by evolving the daily duties of a company. Offering cashless payments to your customers allows the entire experience and transaction to run smoothly. It increases the efficiency of your business as a whole. By accepting cashless payments, you save both yourself and the company precious time. These directly deposit into the bank and require less accounting from your end. Also, it attracts new clients and demographics to the business if you accept all forms of payment. If you are properly marketing and advertising to your target audience, acquiring clients is easy. However, retaining customers and ensuring they return to the store varies. The customer experience impacts whether someone will visit again or not. 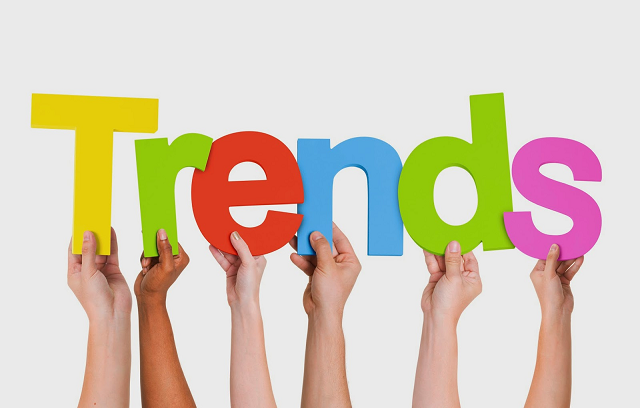 Automotive industry trends change over time. However, making sure a customer is satisfied plays a role every time. For example, find out what successful franchise owners provide for their clients. This can help to guide you to make sure you give the best customer service possible. Building relationships within the community is a more traditional form of marketing. It creates great advertising by word-of-mouth throughout the area. Attend networking events and other occasions that will announce your presence. Showing you care to the people that live in your area is important. It creates a personal bond with customers if they see you outside of work. This becomes more important if you franchise a business in a small town. Fixed locations for companies determine the audience and customers you attract in the area. However, new automotive industry trends push for mobile businesses. Becoming a franchise owner for a system that allows you to be mobile creates endless opportunities. Clients prefer convenience, and this is one of the biggest ways to set yourself apart from the competition. A mobile company allows the business to expand at a faster pace. For example, if you are traveling throughout a larger area, there’s a better chance to meet new clients. This extends your reach by driving throughout the franchise territory. Interested in exploring the unique franchise opportunity that DetailXPerts offers? Sign up for our monthly newsletter to stay updated on all things franchise!